Spring Turkey and Spring Bear season get under way this weekend. Turkey season starts on April 13th and Bear starts on April 15th. If you need to get your licenses or gear don’t hesitate to swing in and let us help you get you geared up for your spring hunt. Hauser: We’re getting reports of a lot of open water out there…it’s time to think about spring fishing again! Fishing on Hauser has been decent so don’t hesitate to throw some small spinners or floating jigs out there. 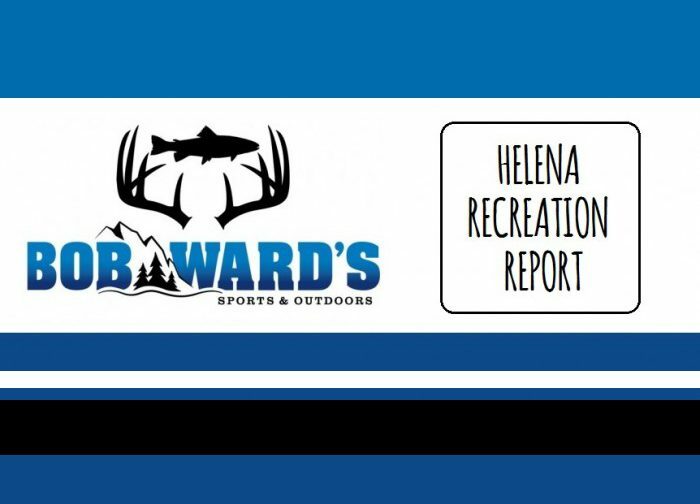 Helena Valley Regulating Reservoir: Caution that ice is melting and hazardous conditions apply. Be safe out there and keep checking ice thickness. Ice has been melting at an alarming rate so we recommend finding open water and sticking to the shoreline. Fishing reports are good with guys catching Salmon and Perch. Canyon Ferry: Caution that ice is melting and hazardous conditions apply. Be safe out there and keep checking ice thickness. With current temps and no sign of freezing in the forecast we should see a good melt off and boat access shouldn’t be far off. Some reports from guys catching trout and perch by the Silos. Holter: Caution that ice is melting and hazardous conditions apply. Be safe out there and keep checking ice thickness. With current temps and no sign of freezing in the forecast we should see a good melt off and boat access shouldn’t be far off. Great Divide: We’ve had a great week of snow with over a foot of new accumulation. The lower mountain currently has 55 inches of snow with 55 inches on the upper mountain. The hill is open Saturdays and Sundays from 10:00am-5pm. There is snow in the forecast this weekend so make sure to come up to the hill and make some fresh turns. Showdown: The Mountain currently has a 38” base with 60” of snow at the summit. Closing day will be April 14h this year so come on up this weekend and make some turns at Showdown, Montana’s oldest running ski hill! Whitefish Resort: Closed for the season. Big Sky Resort: The upper mountain has a 102” base while the mid to lower part of the mountain has about 58-70” of base. Big Sky is currently running 20+ lifts. It’s definitely time to think about heading to the resort and getting spring skiing turns in!